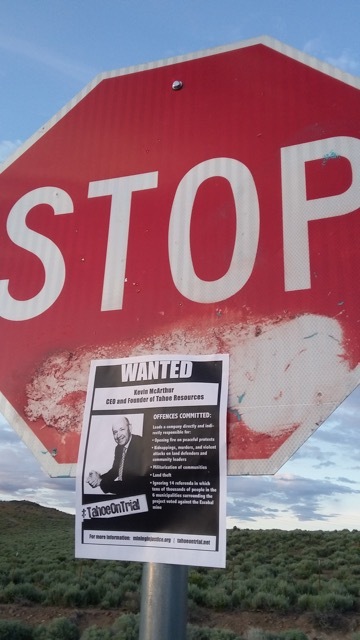 Over four hundred ‘wanted’ posters affixed to walls, posts, and newspaper boxes greeted Tahoe Resources shareholders on their way into the mining company’s 2016 shareholder meeting this morning. 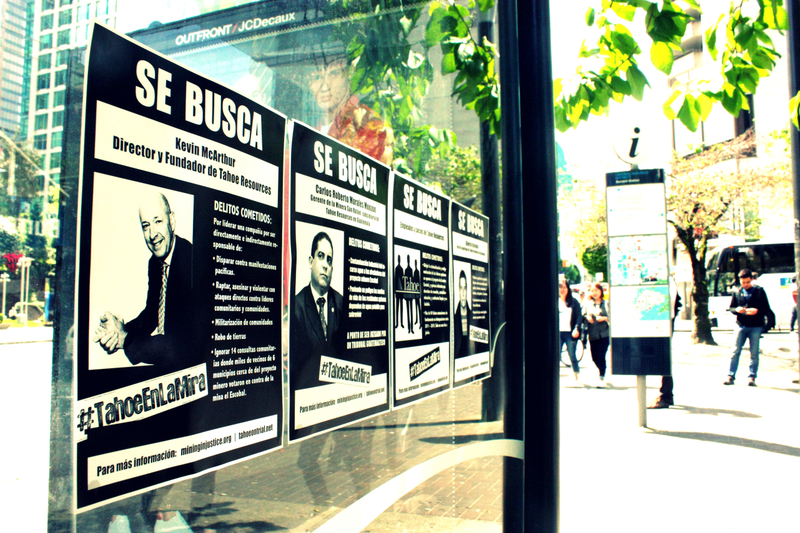 The posters highlight charges against various Tahoe employees, ranging from ordering the shooting of residents to industrial contamination, as well as human rights and environmental abuses alleged by communities surrounding Tahoe’s flagship mine in Guatemala. 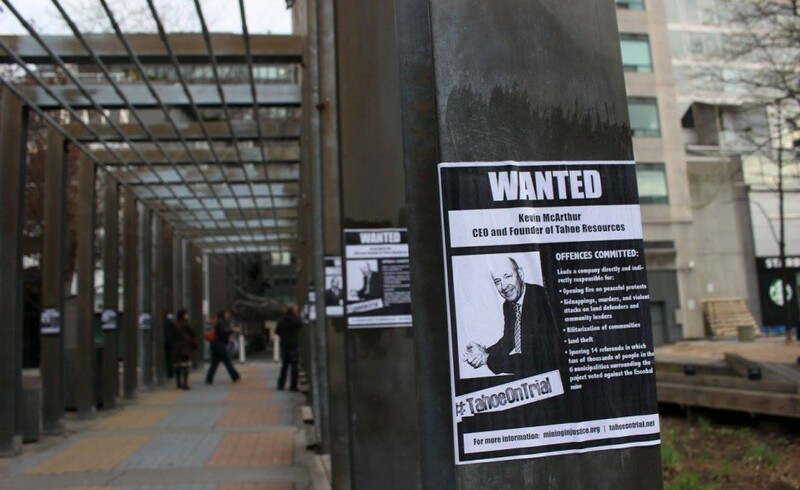 Identical posters were also plastered across downtown Vancouver and Reno, the locations of Tahoe Resources’ Canadian and American headquarters. 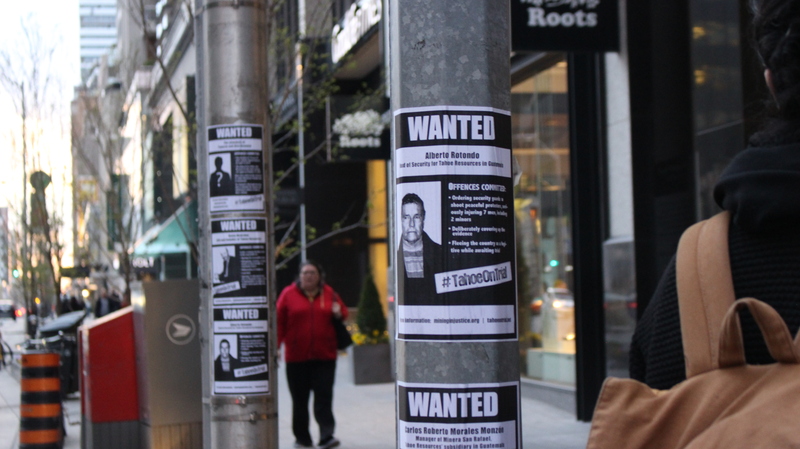 Hundreds of posters covered the streets surrounding the Toronto Four Seasons where Tahoe Resources’ AGM was held this morning. Posters plastered throughout Vancouver’s financial district. Posters mounted in Reno, Nevada, near Tahoe’s US headquarters. For more pictures of the action, check out the Facebook album!